The Miracle Mile is a postal pool mile swim that helps find a cure for lung cancer. 50% of all proceeds will be donated to the Bonnie J. Addario Lung Cancer Foundation. There is no set fee. You decide what you want to pay. TAM has donated $12,000 to BJA over the past six years. You can dedicate your swim to a loved one. 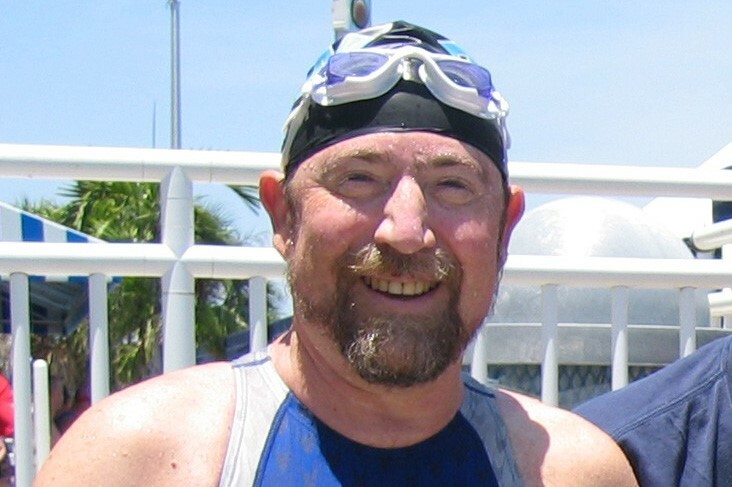 Jon Steiner was a long- time member of Tamalpais Aquatic Masters and active with local and national Masters Swimming committees. Jon lost his battle with lung cancer in 2006. He originated the TAM 1650 “Don’t Waste Your Base” swim in 1996 with just a few participants. Today the event, renamed the Miracle Mile, attracts close to 200 swimmers a year. Date: Anytime between January 1, 2019 and February 28, 2019. Swim the mile anytime between January 1st and February 28th, 2019, swim 1650 yards or 1500 meters in a 25 yard, 25 or 50 meter pool. Submit your entry and 50% of all proceeds will be donated to the Bonnie J. Addario Lung Cancer Foundation. What You'll Need: A pool at least 25 yards in length and someone to time you. Eligibility: All swimmers registered with USMS for 2019 are eligible to participate. Relays: 4 person relay entries will be accepted in the following age groups: 18+, 25+, 35+, etc..., male, female, and mixed. Each person swims (and must individually enter prior to submitting the relay entry) the 1650; relay entries are scored on total combined time for the four (4) 1650s. Team Competition: Each year, the team with the highest percentage of membership participating in the event will receive an award. Three teams will win, one each from among the small, medium, and large team entries. Simply inform the event director Glenda Carroll (ggcarroll43@gmail.com) that your team is participating and of the total membership of your team. Mass Team Entries: In order to make entering easier for teams with many participants, an excel spreadsheet can be provided that indicates the information required and that is prepopulated for swimmers on the team who have participated in past Postal 1650 swims, Contact Glenda Carroll, ggcarroll43@gmail.com for spreadsheet for your team. Rules: All USMS and Pacific Masters rules apply. A split sheet with 50 yard/meter splits must be signed by at least one timer. Times not entered to the 1/100 will be rounded up. Drafting/circle swimming not permitted. Meters times may be converted to yards times by diving by 1.02. Online Registration closed on 3/11/2019.